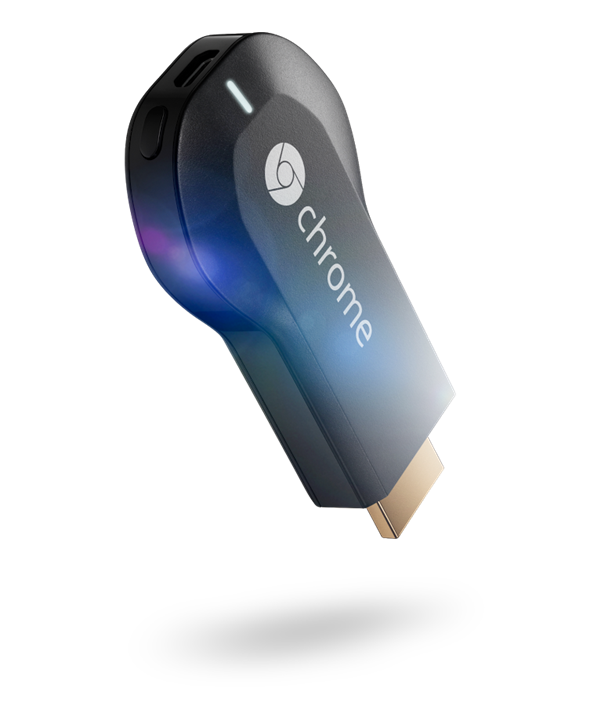 The streaming media industry is currently in the midst of a boom, and never one to miss out on a potential area of growth within the technology world, Google has just taken the wraps off its new Chromecast TV content streaming device. The $35 dollar gadget, which borrows its form factor from a USB thumb drive, slots into your HDTV’s HDMI port and allows you to stream content from any device. In essence, it bridges the gap between your run of the mill HDTV and the newer generation of Smart TVs, and for such a reasonable price tag, would seem a very attractive prospect. The description of the service may automatically have you thinking of Apple TV, and while it does have similarities, it’s not an AirPlay-esque streamer as such, rather a remote allowing you to run, play, pause, and queue videos and other content. 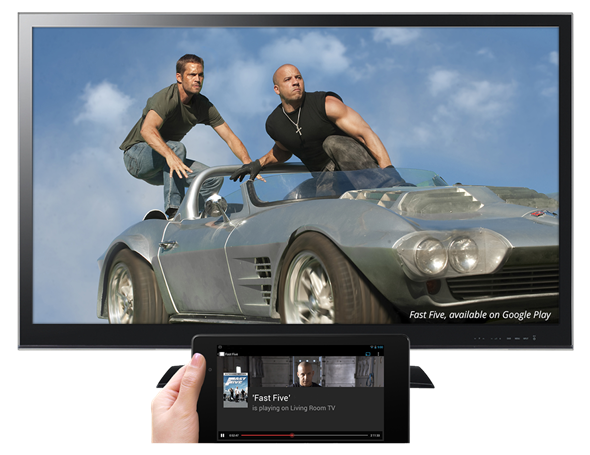 The great thing about it is, once you’ve hooked up, say, your tablet, and are playing a movie or TV show through Chromecast, you can then go ahead and continue to use other apps, which goes to show just how advanced our mobile devices are becoming. Having demoed the new gadget already, it seems to have very little trouble running video clips from the likes of YouTube and Netflix, so if you’ve been looking for a way to morph your television into the current generation of Smart, perhaps Chromecast will serve as the perfect product for you. 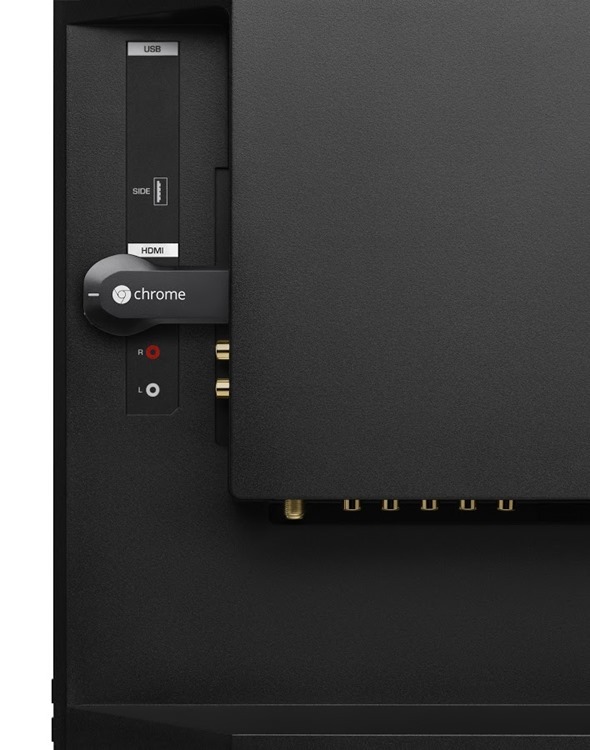 Chromecast is showing on Google Play as in stock, with shipping taking a few days. With three months of free Netflix subscription out of the box, there’s added incentive to pick one up, particularly since a three month subscription costs near enough the asking fee. 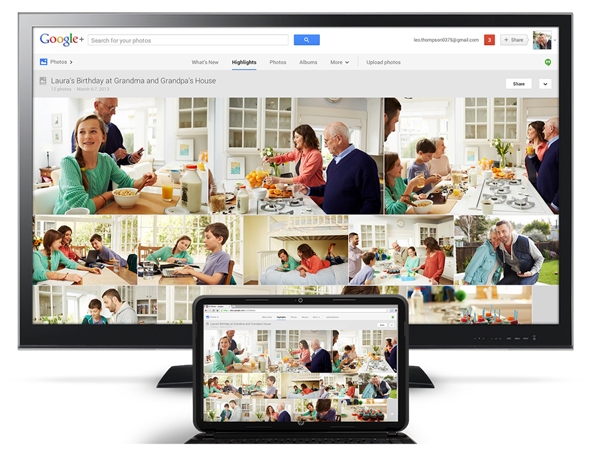 Having announced Android 4.3 Jelly Bean, the Nexus 7 2013, and the Chromecast, it’s very obvious that Google wants to take over our living rooms. Will they succeed? If they have the right formula execution at hand, then they just might!